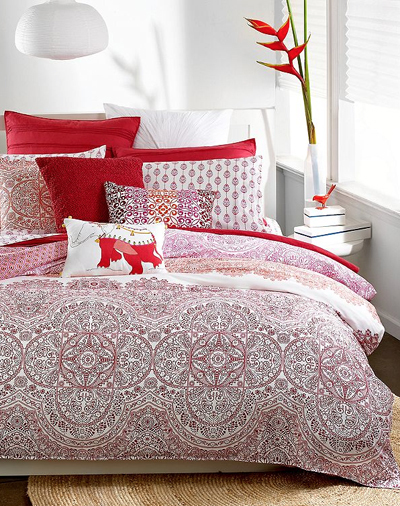 The Bar III Henna Bedding Collection transforms your room into an exotic getaway with a variety of rich color palettes that intertwine to create a landscape of abstract illustrations. Sophisticated pleats, corded edges and intricate embroidery complete the modern look. $30-$200. Buy here.